This is our 2nd year of offering a summer session (we just completed the 13th winter session) for the Go-to-Market program. 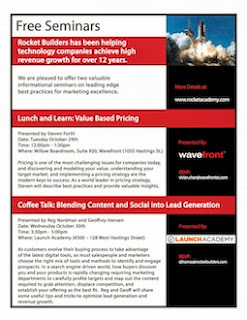 Rocket Builders is pleased to announce the Vancouver schedule for the Go-to-Market program. The program will run from November 2018 through to March 2019. Thank you to NRC IRAP for its financial contribution to support the program. Thank you to Launch Academy, Vancouver Enterprise Forum, Venture Labs, Garibaldi Capital Advisors and the VANTEC Angel Technology Network for its efforts in marketing the program. We are pleased to announce a free workshop being hosted by Launch Academy on June 5th 2018. Knowing more about your target market, your target buyers and your competition can provide the key advantage your company needs to win customers, acquire partners and attract investors. This bootcamp is a one day session to help companies design, implement and capitalize on the benefits of market research using the latest tools, techniques and practical approaches that companies of any size can use. In particular, we will show how lean startup methods such as defining your MVP and filling out the Business Model Canvas will depend on effective implementation of market research processes. Designed for both Startups and Growth Companies, senior executives, product managers, marketing managers, and salespeople can all benefit from the insights this bootcamp offers. Company advisors such as investors, board members and mentors will also benefit. 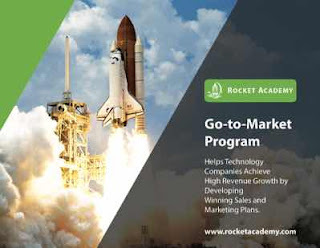 Rocket Builders is pleased to announce the Vancouver schedule for the Go-to-Market program. The program will run from November 2017 through to March 2018. The Go to Market Program helps technology companies develop skills to maximize successful execution in market entry, product launch and revenue growth. The program uniquely combines a comprehensive go-to-market curriculum, applied learning, access to experts, and one-on-one mentoring. At the end of this program, each participating company will have completed a customized, comprehensive Go-to-Market Plan to drive company sales and revenue growth for the upcoming year. The program is supported in part by the National Research Council, Canada`s Industrial Research Assistance Program (NRC-IRAP). The program combines instruction, mentoring, peer review and expert review in an applied learning context. It is designed for executives responsible for revenue growth, and they can attend as a ‘team’ including CEO, VP Sales, VP Marketing, VP Business Development. Companies that have participated in previous courses have enjoyed great success including; increase in sales, investment, hiring and partnerships. The Market Readiness Program is offered to groups of companies concurrently to maximize the potential of peer discussions and peer review. The Market Readiness Program runs for four months and starts at the beginning of November. The program is in two semesters with an initial focus on strategy followed by execution. The program is designed for twelve (12) participating companies. This provides sufficient time for each company during discussion sessions. Obtained $500,000 in funding; Completed all of the launch features and are now automating merchant onboarding processes. Raised a second round of capital of $ 6 M from a US Venture Capitalist, have expanded to over 100 employees (continues to hire) and recently moved to a new office. 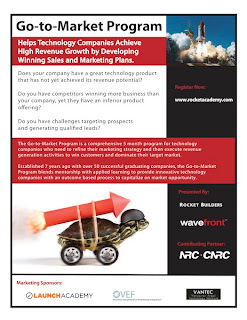 Rocket Builders and NRC/IRAP will host an information at SFU Venture Labs at 11:30am on October 24th. The course fee is heavily subsidized by NRC/IRAP. The cost per company supported by NRC/IRAP is $ 2000. 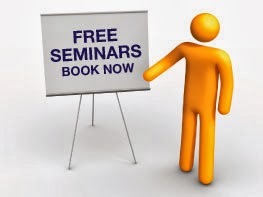 Multiple attendees may come from a participating company.